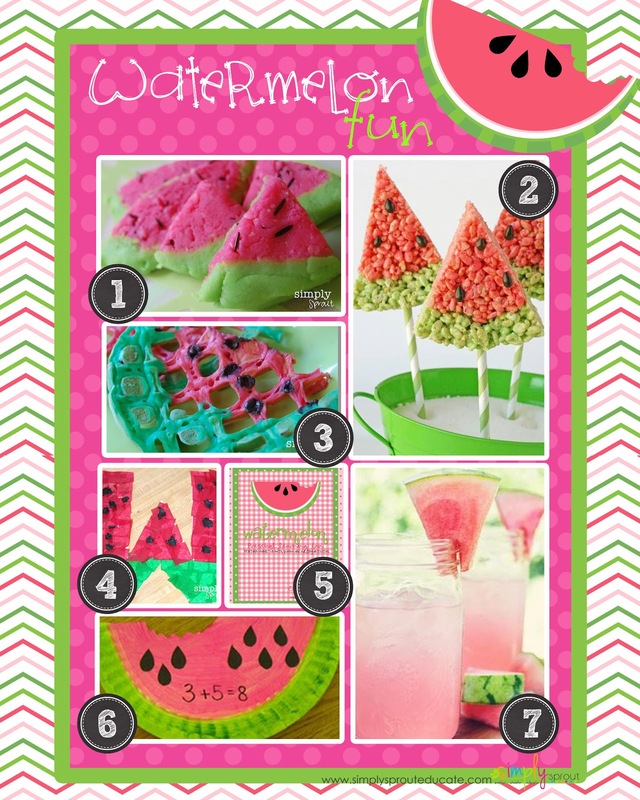 Cool down with some Watermelon fun! With the weather heating up and temperatures soaring during the day we thought you might like a few ideas to reinforce those letter skills and cool down at the same time. Here are a few of our favorite watermelon activities that we found, see more on our Pinterest Board. 3. 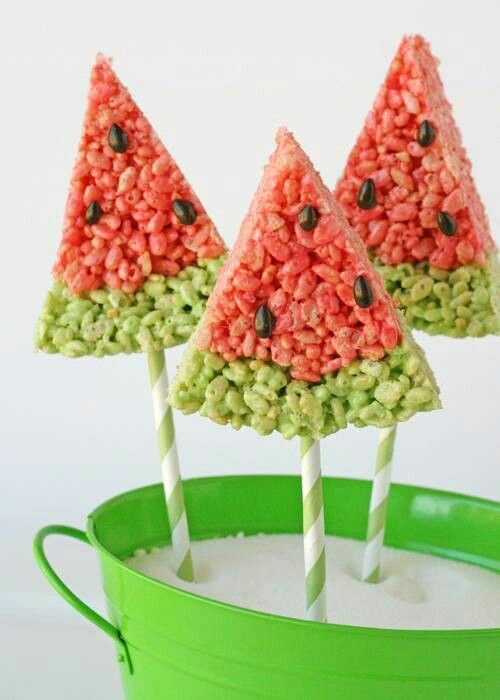 Watermelon waffles are the perfect way to start out a summer day, reinforce all of those W words with these wonderful watermelon waffles! 4. Reinforce the letter W by making it into a watermelon, use tissue paper to cover a cardboard cutout of a W, these pictoral representations of letters help little ones to use visual cues to help them remember letter sounds. 5. 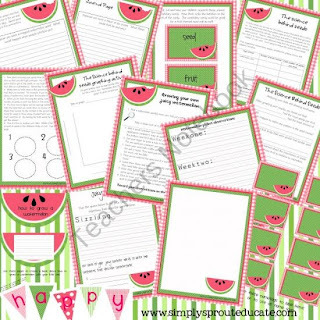 Primary Watermelon activity kit, great summer review for Pre-K to first grade6.paper plates to create some watermelon math problems, on the back have your students write a word problem to match. 7. 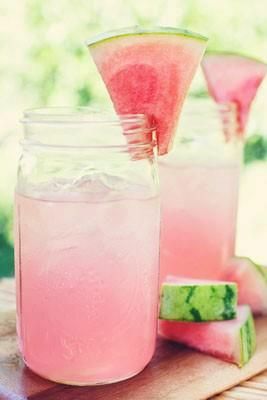 For a refreshing drink on those hot summer days make some watermelon Kool Aid, mix with sprite zero, serve in a mason jar with a slice of frozen watermelon on the side. 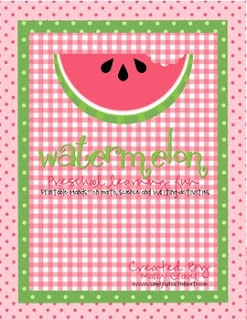 A few other fun ideas to keep cool this summer, Place water balloons around the back yard, tie an index card onto them and write a letter on each one ( or number), have little ones try to pop them in abc order (or number order) for increased difficulty turn the timer on, see if your little ones can get faster with each round. 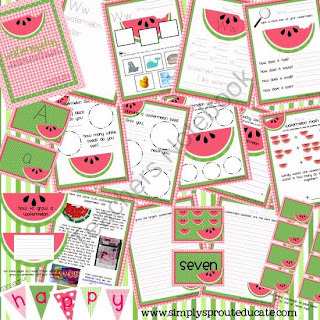 When the outdoor fun is over and you are looking for some activities when the rain starts rolling in check out our Watermelon themed activity packs for both primary and intermediate. They offer a great review of skills for those hot summer months!